A liturgy for deceased alumnae, family members and faculty will be celebrated on Wednesday, June 4, 2014, at 11:00 AM, at the St. Bernardine Home (1220 Tiffin St., Fremont, OH 43420, about an hour southeast of Downtown Toledo). Sponsored by the Sisters of Mercy, this liturgy will be a part of the prayer ministry of the sisters. Former faculty and staff, Sr. Joan Marie, Sr. Mary Jane Martin, Sr. Margaret Wasserman, Sr. Noel Frey and Sr. Pauline Marie Swint live at St. Bernardine’s and Sr. Breta Gorman lives near-by. We hope to make this an annual tribute to all of the lost members of our McAuley Family. All are welcome to attend. It is with great sadness that we say goodbye to our father, John “Jack” Allen Honsberger, 84, who passed away Tuesday morning, May 20, 2014, at the University of Toledo Medical Center. Jack was born in Toledo, Ohio to Orta and Virginia Honsberger on June 4, 1929. He worked for Libbey Owens Ford for over 30 years and for the Medical College of Ohio in 1999. He left in 2010 to spend more time with his devoted wife of 64 years. Jack was a man who could fix and make anything; he loved woodworking, fishing on his boat, working in his garden and hunting. Most of all, he loved being with his children and grandchildren and attending all of their events. He was preceded in death by his parents and his sister, Grace Stewart. Jack is survived by his loving wife, Rita; daughter, Mary Brenda Gaynor; son, John (Diane) Honsberger Jr.; grandchildren, Mathias (Michelle) Gaynor, Elise Gaynor, Julie and Sarah Honsberger, Matthew Whitely; great- grandchildren, Olivia, Lilly, Sophie, Mathias IV, and Samuel. The Mass of Christian burial will be held at 10:30 a.m. on Saturday, May 24, at St. Clare Commons Chapel, 12469 Five Point Rd, Perrysburg, OH 43551 where the family will greet guests at 9:30 a.m. Interment will be private at Calvary Cemetery. God gave Jack as a gift to this world for a while and now we sadly give him back. He was a devoted and loving husband, father and grandfather. 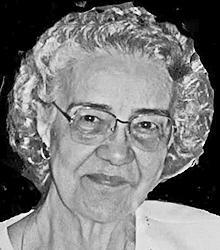 Rita R. Burkhart, age 89, of Toledo, passed away on May 12, 2014. She was born to Harry and Adeline Beaudry on May 17, 1924. She attended Central Catholic High School and then married, the love of her life, Robert Burkhart and together they raised 2 children. Rita devoted her time and love to children. She was a Day Care provider for the Catholic Charities and did not retire, until she was 70 years old. She was preceded in death by her parents; brother, Norman Beaudry, and sister, Virginia Rowe. She is survived by her loving husband of 67 years, Bob; son, Lee (Kitty) Burkhart; daughter, Judy (Greg) Wissinger; granddaughters, Laura (Ben) Ungrodt and Katie Burkhart; great-grandchildren, Allison and Leigha, and brother, Dale Beaudry. Friends may visit the family at the Coyle Funeral Home, 1770 S. Reynolds Rd., on Thursday, May 15th from 2:00-8:00 p.m., where a Rosary will be recited at 7:00 p.m. Funeral services will be held on Friday, May 16th, beginning at 12:30 p.m., in the mortuary, followed by a Funeral Mass at St. Patrick of Heatherdowns Church at 1:00 p.m. Interment Calvary Cemetery. The family would like to extend a special thank you to all of the staff at Swan Creek Retirement Village for their compassionate care. Sandra Sue Dennis, 70, of Maumee, passed away peacefully May 9, 2014, in the company of family and friends. Sandy was born March 23, 1944, to the late, Clarence and Evelyn Stanford in Toledo, OH. She attended McAuley High School and Bowling Green State University where she earned a degree in Elementary Education. Upon graduation, Sandy taught at the grade school level in Chicago, IL, before returning to Ohio to be a full-time mom. Sandy is survived by her husband, Ronald Dennis; two sons, Eric (Raegan) and Ryan (Kristin) Schneider; four grandchildren, Owen, Grant, William, and Reed; brother, Gerald (Betty) Stanford; stepchildren, Melinda (Rick) Kujawa and Kristin (Jeff) Usko; step-grandchildren, Amanda, Nathan, Elizabeth Kujawa and Madelyn and Ryan Usko. Sandy most loved the time that she spent with her friends, whether that be playing Bunco, throwing ‘pizza parties’, or simply talking for hours on the telephone. She was truly blessed to be surrounded by this incredible support group, most of which she had known since grade school, high school or college. Sandy also greatly loved spending time with her grandchildren, whom referred to her as ‘Bunco Grandma’. She will be greatly missed by her family and friends. A Memorial Mass to celebrate Sandy’s life will be held Monday, May 19, 2014, at 11:00 a.m. at St. Rose Catholic Church, 215 E. Front St., Perrysburg, Ohio 43551. The Newcomer Funeral Home (419-381-1900) assisted the family with professional services. In lieu of flowers, those wishing to make memorial donations are asked to consider Hospice of Northwest Ohio.